Do you miss that ol' Windows XP search tool? files by name, size, date or contents. 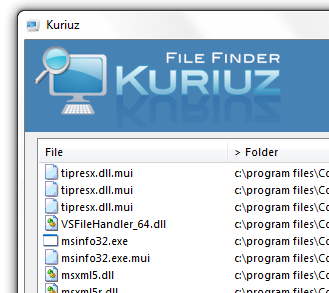 Search any file type or for faster performance customize the file types to search. Search by filename using wildcards. Search by file contents, single word or phrase. Filter by size and/or date. Optional File Indexing for faster searches (version 1.5 and above). Improved search algorithm for fast searching without indexing. It integrates with file explorer (right-click menu).